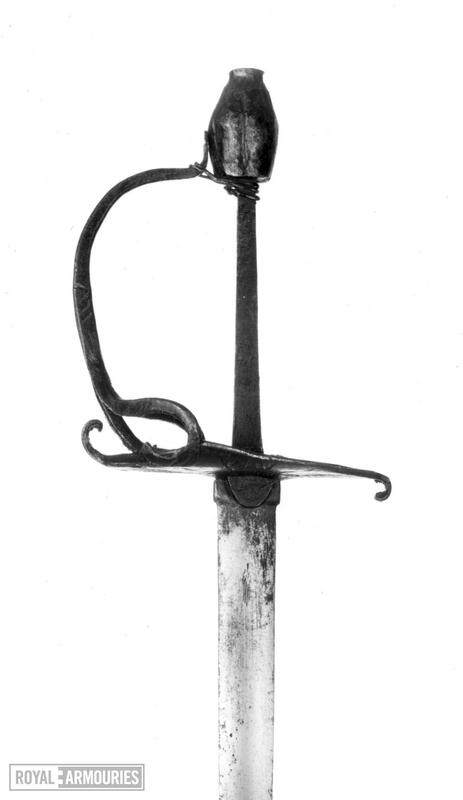 Blakened iron hilt consisting of flat, rounded shell-guard prolonged into short recruved quillons at front and rear. 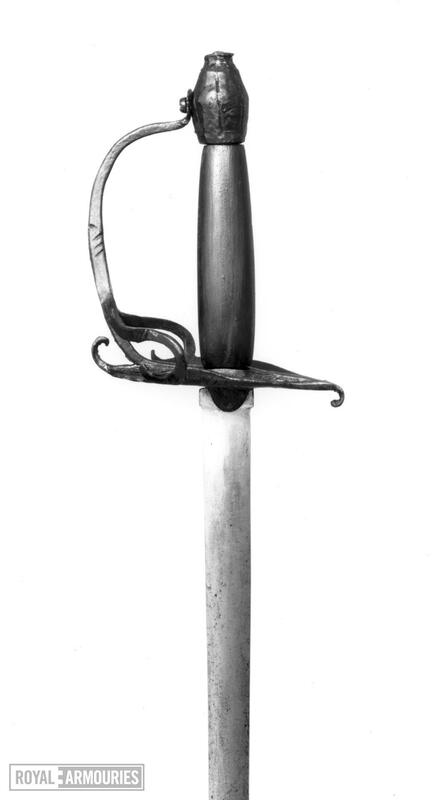 Small triangular langets extend down the blade. Edges of shell opposite grip are slightly curved towards the pommel on either side. 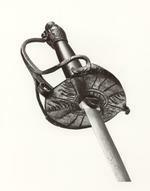 Hilt construction similar to 'Mortuary' hilts. 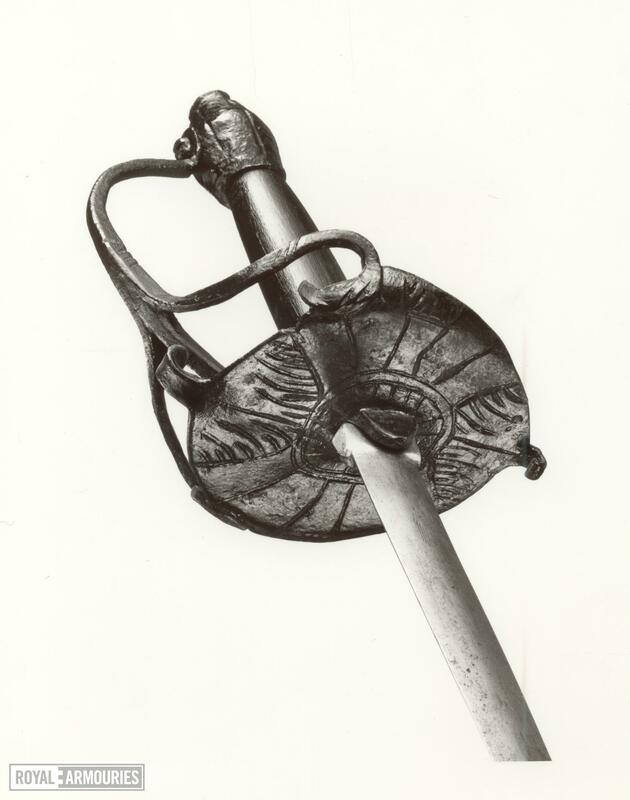 The knuckle-guard is screwed at its upper end to the ovoid pommel, at the lower it divides into three bars, each of which is welded to the shell, the outer scrolling at their ends. 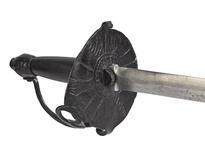 All elements of the hilt are chiselled with coarse decroative lines.